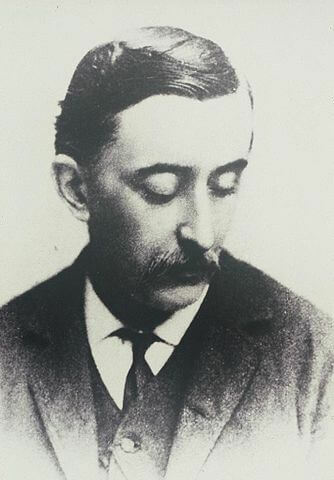 Lafcadio Hearn (1850 - 1904) whose Japanese name was Koizumi Yakumo (小泉 八雲? ), was an international author best known for his Japanese legends and ghost stories, Chinese stories, and for Americans particularly, his voodoo stories written during his ten years residing in New Orleans. Hearn's multi-culturalism as a writer was based on his experiences living on several continents. He was born in and named after the island of Lefkada, one of the Greek Ionian Islands, his father was Irish, the highest ranking surgeon, his mother Greek. When they moved to Ireland, he was abandoned by both parents when his father moved to accept a position in the West Indies. Young Hearn was enrolled in a Catholic school in France by his aunt, where he became fluent in French, and would later translate the works of prominent author, Guy de Maupassant, who attended the same school a few years after Hearn. In 1890 Hearn traveled through Japan and fell in love with a woman of high Samurai rank, and remained there to write and publish legends and ghost stories, fully steeped in Japanese culture. 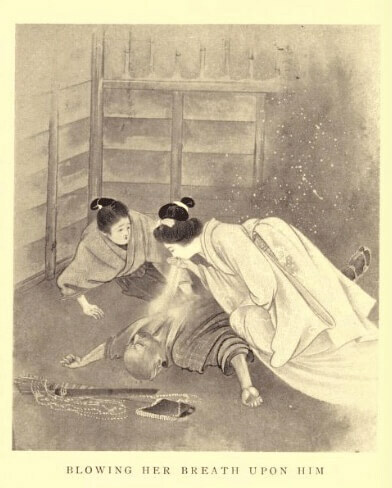 We particularly like Yuki-Onna , published in his collection, Kwaidan: Stories and Studies of Strange Things (1904). We feature Hearn's work in our collection of Halloween Stories.